This guide provides basic information about IEC low voltage motors. In this context, low voltage refers to motors that operate at voltages less than 1 000 V and produce a maximum power of 1000 kW. In this overview, motors are classified primarily according to their fundamental physical differences, and secondarily, according to their purpose of use. Accordingly, we divide motors into two ranges of induction motors, four types of motors for explosive atmospheres, frequency controlled motors, most notable of which are synchronous motors, and special application motors. The last category of motors include, for example, marine motors, brake motors, and smoke extraction motors, which are based on the basic induction motor but have modifications that vary according to the purpose of use. Their features are not further described here. The International Electrotechnical Commission (IEC) has introduced standards relating to energy efficient motors. 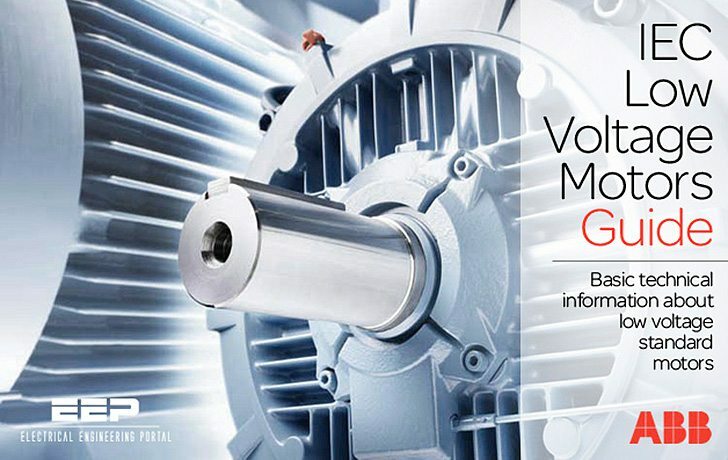 IEC 60034-2-1 specifies rules concerning efficiency testing methods and IEC 60034-30 defines efficiency classes for a wide range of electric motors connected direct on line. IEC 60034-30-1 (which becomes valid in 2014) takes a step further in widening the scope of motors subject to efficiency classes and introduces the IE4 class. VSD-driven motors are out of the scope of this standard and will be dealt with in a standard of its own. Thanks for your help, always lear new knowledges, thanks for free dowload, awesome the material. This website is awesome! Please keep it free!